We also have a brand new position for a Project Administrator based at our Blyth Quay Office. We will be closing for the Christmas holidays on Friday 21st December until Wednesday 2nd January. Whitehouse Farm Centre near Morpeth has launched a new initiative, which aims to encourage new friendships and tackle isolation through a regular programme of events and social activities. With support from local company Legrand Assisted Living & Healthcare, based in Blyth, The Farm launched ‘Hay Days’ on 8th May with a tea dance and welcomed over 80 service users and their carers from a number of care homes and community groups in Northumberland and Tyneside. Dawn Peters, a trained carer with expertise in working with the elderly and those living with dementia, is the events coordinator at Whitehouse Farm Centre. She said: “The aim of Hay Days is to bring isolated community groups, people living in sheltered accommodation and care homes across the region together to take part in weekly and monthly activities which encourage new friendships and tackle isolation through fun, social events hosted on the Farm. Attendees at the VE Day- themed launch danced and sang along with talented vintage singing sensation Kayley Cares from Sunderland. They were then treated to a tasty lunch by the Farm’s catering team which was followed by a tour of the Farm. Residents came from Scarbrough Court Care Home in Cramlington, Mind Active Northumberland, Frank Bushell House in South Shields and The Caddy Shacks, a group covering Northumberland and Tyneside which brings adults with learning disabilities and physical disabilities together for trips and activities to help them make new friends and integrate with the local community. In order to minimise the cost of running Hays Days events and activities to ensure they are affordable for people, Whitehouse Farm is receiving support from Legrand Assisted Living & Healthcare. The company designs, manufactures and supplies innovative technology solutions for the supported housing, health and social care sectors through their Tynetec, Jontek and Aid Call brands. Managing Director for Legrand Assisted Living & Healthcare, Chris Dodd, explains: “We are delighted to be involved in this fantastic initiative. Hay Days aims to tackle many of the key issues that are prevalent within our market, given that our products and services are designed to empower individuals to be safe, happy and independent in their own environments. What have been the biggest challenges the care industry has faced over the past 12 months? Two of biggest challenges the care industry has faced over the last 12 months are a lack of funding which is leading to financial pressures and an increased demand from care regulators to continuously improve performance. The biggest opportunity within the care industry has been the advancements that have been made in technology over the past year. Technology that is used to assist with the provision of care now has the ability to automate services, which can reduce the time and cost spent on administration, allowing industry professionals to focus on the quality of care. The care industry is prioritising the facilitation of a more person centered approach to care, as opposed to the former ‘one size fits all’ model. With the average living age and the number of individuals considered vulnerable or at risk increasing daily, the structured systems that previously worked within the sector are no longer feasible for providing the quality of care required. Alternative methods and technology are therefore needed to meet the additional challenges arising. What are the main trends you are expecting to see in the market in 2018? Technology that has open protocols which support interoperability will become prominent in the market in 2018. A combination of connected technology will create package solutions that focus on the needs of individual’s, offering greater flexibility to effectively manage care staff and users at a time of increased pressure on the industry. Wireless technology will have the biggest impact this year as it is offering care facilities the ability to expand their capabilities to meet the ever changing priorities of the healthcare market. Without the need to rely on cables or stationary wiring points, wireless systems are indefinitely expandable, as additional elements can be easily added if further support is required. In 2020 we’ll all be talking about…? In 2020 we’ll be talking about the ‘Internet of Things’ approach which describes all of the technology within a building being connected to provide fully automated healthcare facilities. Healthcare technology will work with other services in the coming years to form part of a bigger digital building solution. Which person in, or associated with, the care industry would you most like to meet? Secretary of State for Health and Social Care, Jeremy Hunt, to ask him how he proposes to meet and fund the long-term care needs of an aging population. What’s the most surprising thing you’ve learnt about the care industry? That it is still a caring industry; despite the challenging demands on the sector, it still remains a positive and caring environment with great things being achieved on a daily basis. Meeting the great people involved in the care sector. Remaining ‘on my toes’ and continuously innovating to develop products and services that help support this ever-evolving sector. On Friday 8 December the first ever Caring UK Awards took place at the National Railway Museum in York. 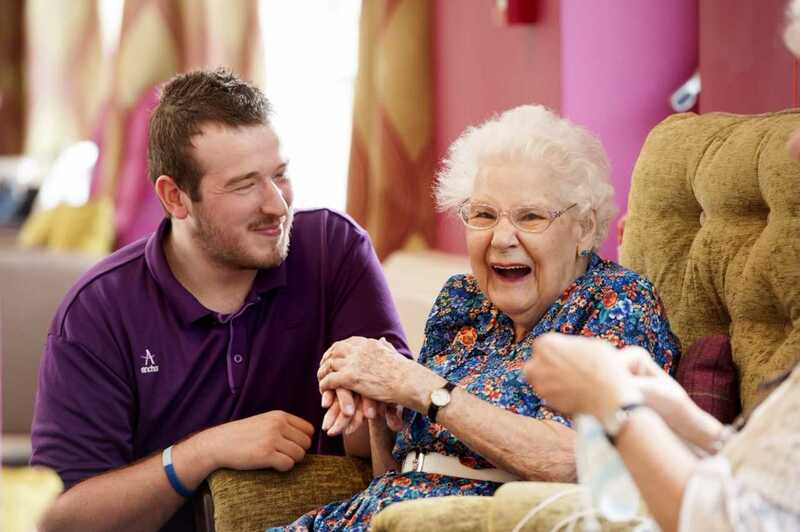 Caring UK has launched the Caring UK Awards to celebrate care homes across the UK, and the teams within them, who are making outstanding contributions to the care of elderly citizens. The evening celebrated winners in 11 different categories from Activities Team of the Year and Management Team of the Year, to Best Innovation in Care and Lifetime Achievement Award. Aid Call attended the awards as the sponsor of the Care Home of the Year category, which recognises care homes that really focus on innovative ways of providing dignified and compassionate care. From hundreds of nominations to the seven care homes that were shortlisted in the category, Abbotsford House in Glasgow were named Care Home of the Year. Anchor has partnered with Legrand’s Assisted Living & Healthcare division to maintain the grouped living systems and nurse call systems that keep its staff and residents safe and supported. Anchor is England’s largest not-for-profit provider of care and housing for older people, working with more than 40,000 customers. 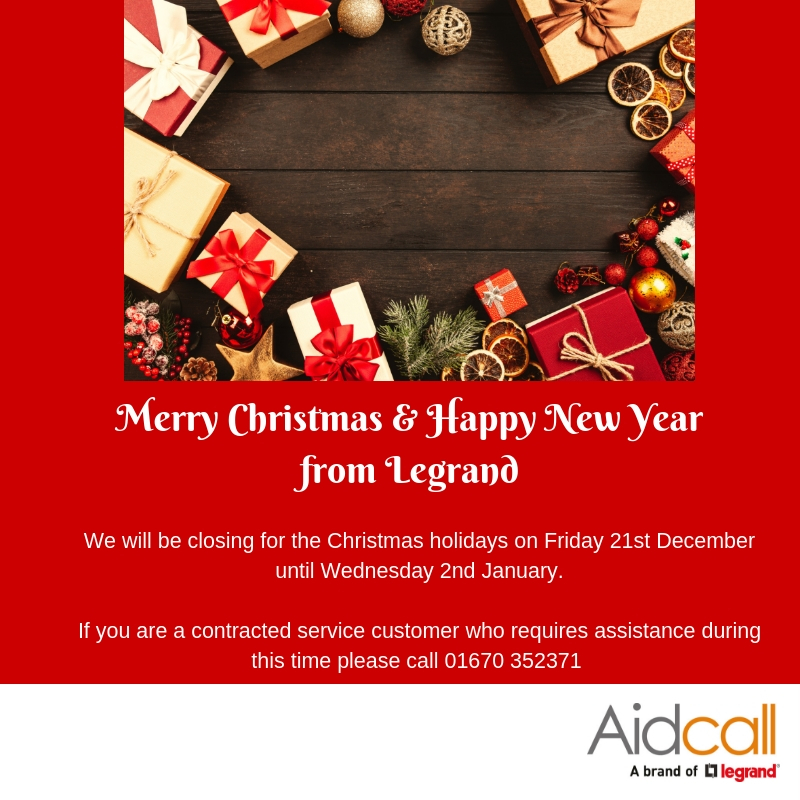 Legrand Assisted Living & Healthcare is providing comprehensive maintenance to all of the Anchor care homes throughout England on a 24-hour a day, 365 days a year basis. The maintenance work will be carried out by Legrand’s Tynetec and Aid Call brands in partnership with two approved installers; S.E.A in Kent and Incom Systems in West Yorkshire. This will ensure the company provides effective ‘on the ground’ maintenance coverage for Anchor’s extensive range of properties. Tynetec manufactures and supplies grouped living systems, access control systems and telecare solutions to local authorities and housing associations across the UK, and Aid Call has been the leading UK provider of wireless nurse call systems for over 40 years. Together the business units supply Anchor with a complete solution which will maintain the high quality of care the not-for-profit organisation has always provided its residents. Legrand’s acquisition of the maintenance contract has additionally created five new jobs within the Tynetec and Aid Call business units. Two service engineers and three administrators have been recruited to assist with the maintenance of Anchor’s retirement homes and villages. The team will be communicating with Anchor on a daily basis to ensure that they provide the highest quality of security and support to the elderly population of England. The new £28m hospital wing at Bradford Royal Infirmary was opened in June 2017 by Bradford Teaching Hospitals NHS Foundation Trust and features the Touchsafe Pro wireless Nurse Call system, which is designed, manufactured and supplied by Aid Call, a brand of Legrand Assisted Living & Healthcare. Aid Call have supported specialised installations at many NHS sites and in 2015, the leading wireless Nurse Call provider began designing a system for the large project that includes a 16-bed Intensive Care Unit (ICU), two children’s wards, a dementia-friendly elderly care ward and a retail concourse. The Aid Call Touchsafe Pro Nurse Call system was the obvious choice for the new ICU because its wireless configuration meets the requirements of any project, no matter the size or scale, offering complete flexibility and mobility. The system can facilitate individual patient requirements, adapt to change and be added to over time. It can also be installed quickly and specifically to each site because there is no need to rely on cables and stationary wiring points. Building Services Consultants DSSR drew up the specification for the new wing with support from the Aid Call and Bradford Teaching Hospitals Project Manager, Shane Embleton. A bespoke system that could be proven to benefit the staff and patients needed to be designed and the specifications were adapted as the requirements of the hospital altered. Once the plans were in place, a tender was released and Aid Call quoted 24 contractors for the project before meeting with the winning contractor in April 2016. 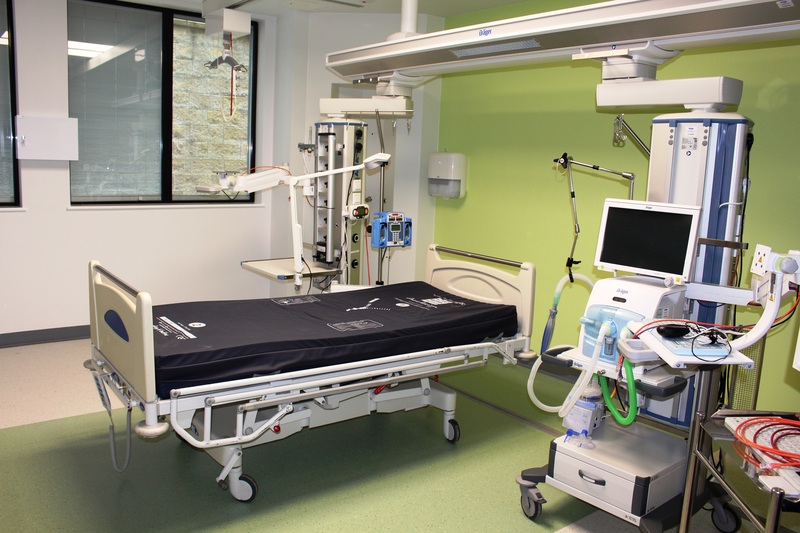 Aid Call additionally carried out training with the Bradford Royal Infirmary staff over a 3 week period prior to the opening, and the company continues to provide support to the hospital on a monthly basis to meet the staff needs and management requirements. Assisted Living & Healthcare is a rapidly growing industry in the UK and Legrand, global specialists in electrical and digital building infrastructures, have established a new identity as the Home of Assisted Living & Healthcare. With the average living age and the number of individuals considered vulnerable or at risk increasing daily, technology is forming a central role in the delivery of cost effective, efficient and reliable social care and health care services. This technology is quickly advancing as the demand for digitally enabled products and services intensifies. As traditional analogue systems undergo the transition to digital, this is forcing social care and health care services to consider the implications of the digital switch-over on their own existing infrastructures, as well as how new technology could allow them to support additional dependants. 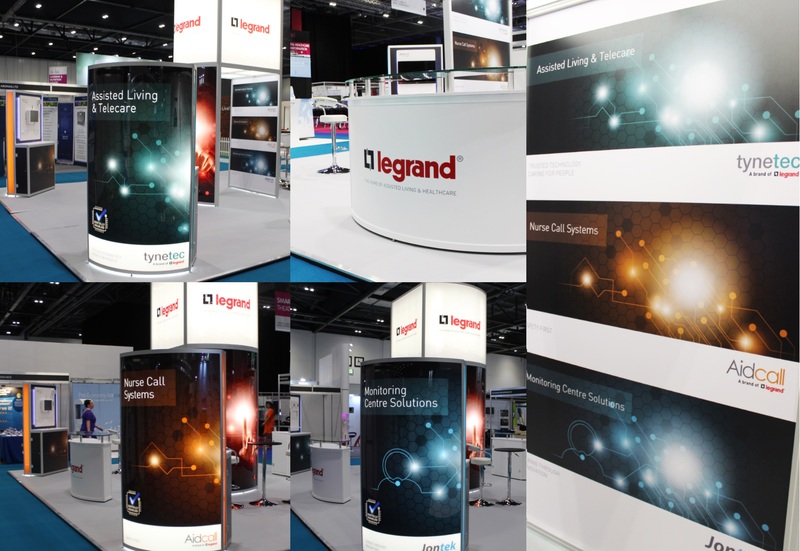 Legrand’s Assisted Living & Healthcare division designs, manufactures and supplies innovative technology enabled care services (TECs) in the UK and Ireland. The division’s new identity brings three separate brands; Tynetec, Aid Call and Jontek together, to position Legrand as a leader in the assisted living market. The company’s Tynetec brand specialises in grouped living systems, telecare solutions and access control systems which are supplied to local authorities and housing associations across the UK. Aid Call has been a market leader in wireless nurse call technology for over 40 years, providing a range of products and bespoke solutions to care homes, care groups and hospitals. The most recently acquired brand, Jontek, ensures Legrand can offer complete end-to-end TECs solutions, which prompted the new identity as the Home as Assisted Living & Healthcare. This business provides monitoring & response centre software solutions, incorporating telecare, telehealth & m-Care, to the public and private sector. As leading innovators in Technology Enabled Care services, Tynetec are delighted to welcome Jontek Ltd to its Assisted Living & Healthcare Business Unit of Legrand Electric Ltd. The acquisition of the Stockport based Jontek Ltd by Legrand, see’s a further investment into the Assisted Living market and strengthens the group’s capabilities to deliver digital platform solutions to support those who wish to remain independent in their own home or with an appropriate level of carer support. The deal was announced jointly by Chris Dodd, Managing Director of Legrand’s UK Assisted Living and Healthcare Business Unit and John Mooney, Managing Director of Jontek Ltd. The Jontek brand has been at the forefront of monitoring for over 20 years and their Answer-link Monitoring Software Platform is the perfect complement to the Tynetec product offering of At Home Alarms and Assisted Living Call Systems. Launched in 2014 by Care Management Matters Magazine, the 3rd Sector Care Awards celebrate innovation and care excellence within the not-for-profit care and support sector. This year’s ceremony took place on Wednesday 9th December at the Marriott Hotel in London. Here, hundreds of the country’s leading care-givers gathered to share and celebrate examples of brilliance within their industry. 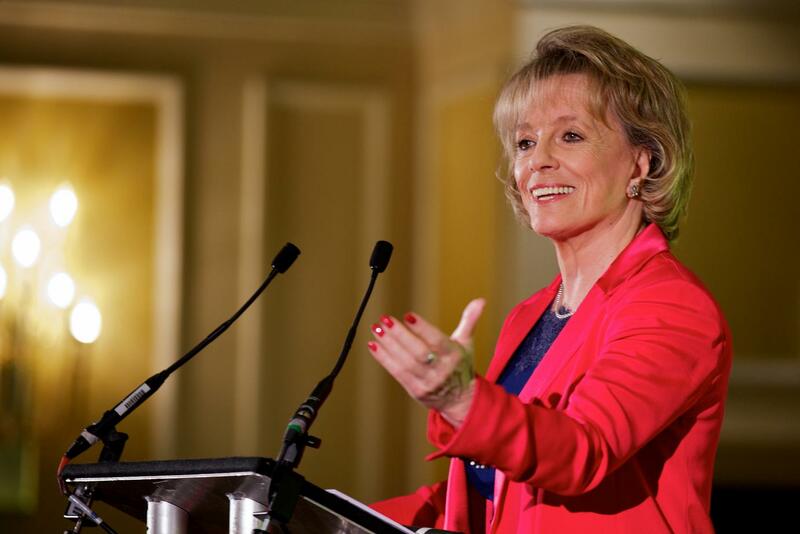 Dame Esther Rantzen hosted the event. As ambassador for The Silver Line, a support line for older people, her passion for the care sector shone through as did her genuine interest in the award winners and their success stories. The winners included Anchor's Jane Ashcroft who achieved the Making a Difference Award and The End of Life Award went to Mount Ephraim House Care Team for their attentive and person-centred approach to palliative care. Aid Call were in attendance as sponsors of the Community Engagement Award. Wendy Kendall, our Head of Sales, presented the award to worthy winners Together for Mental Wellbeing. This was in recognition of the contribution they make to local communities through supporting those who have experienced mental health concerns. Halas Homes Dance Unity entertained with a number of contemporary dance routines including 'I'm only Human' by Christina Perri. The Certitude Community Choir, who were asked back by popular demand, performed a selection of festive songs and classic hits. The afternoon culminated in a joint performance by the two groups. The triumphs of the care sector and the individuals that contribute to them are all too often overlooked in place of harrowing stories of neglect and abuse. The 3rd Sector Care Awards represented the opportunity to celebrate and appreciate those that make a difference and express the gratitude of those they care for. Long may this continue. For a full list of finalists and winners click here.